This week, I released an update for my Tip Solver calculator to add Chinese localization. I had to generate 5 screenshots for 5 devices (iPhone and iPad) across 3 languages. In the time that I spent automating the process with Fastlane Snapshot, I could have easily done it manually in way less time. But the good news is that I’ve set myself up to painlessly generate screenshots for new languages. Snapshot takes some time to run, but it’s still a huge improvement over generating screenshots manually. It took me a lot longer than I would have liked to setup my Snapshot process due to my usage of UIPickerViews. Tip Solver makes heavy usage of UIPickerView and I ran into many issues with UITest. The last one (using titleForRow) was a complete non starter since I rely on heavy UIPickerView visual customization. Generating screenshots with incorrect picker views defeats the whole point of the exercise. 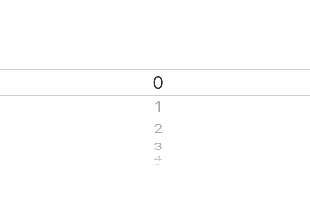 I tried using the Xcode’s UITest recorder, but I ran into many issues. One glaring issue is that while recording, I was able to swipe the UIPicker up, but when I played it back, it ended up swiping up the Control Center (instead of adjusting the UIPicker). There is a method (adjustToPickerWheelValue), but I found that it only works with titleForRow (which I don’t use). What I would like is an expansion of the XCUIElement API to add a simple increment/move up or down once. My final solution (aka work around) was to use a combination of Fastlane launch arguments & brute forcing the UIView (via UIViewController viewDidAppear) to generate my screenshots. My work around isn’t ideal, but it gets the job done. Once everything is setup, generating screenshots was simply running snapshot on the command line. I’m sure there’s room for improvement in the code (using an enum, etc. ), but I left it at that since it’s only for screenshot generation. If you’ve made it all the way down here, thanks for reading. I just wanted to share my experience with UITest and UIPickers. UITest probably needs more love from Apple as it was not pleasant to work with. This entry was posted in Programming and tagged ios, uipicker, uipickerview, uitest, xcode on December 12, 2016 by Rex. 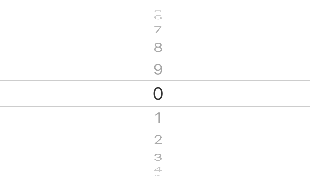 In iOS, I’ve seen a lot of examples of creating a UIPickerView with a hardcoded array of strings. This may be necessary if your data set is a list of strings (such as USA states). For numbers, there’s a much easier way to dynamically generate each row’s title. The key piece is the pickerDataSource that gives us our data source. It is an array literal, and in a worst case programming scenario, one can imagine a very, very long hardcoded array of looping “0” – “9”. A long hardcoded array works, but is not optimal for many reasons. We can improve and change this in many ways. We are going to update the code to operate without using a hardcoded array literal. Also, the user has to scroll up (or down) for a very, very long time before they hit the end of the picker. When their scrolling stops, we will move the position of the selected row back to the middle, so that when they scroll again, there is a long way to go before they get to the top (or bottom). In this 2nd code snippet for our ViewController, we have created a large number, pickerDataSize, that tells our device how many rows there are. The neat thing is that we don’t need to create an array of 100K items. When the UIPickerViewDelegate’s titleForRow method is called, it uses the row to dynamically return a string for that given row. Progress! As a bonus, I went ahead and added a call to pickerView.selectRow in the didSelectRow function. When the user finishes selecting a row, this call will silently (animated: false) move the selected row back to the middle of the rows. This will maintain the illusion of infinite scrolling. Success! This entry was posted in Programming and tagged dynamic, example, infinite, ios, pickerview, uipickerview on March 28, 2016 by Rex.